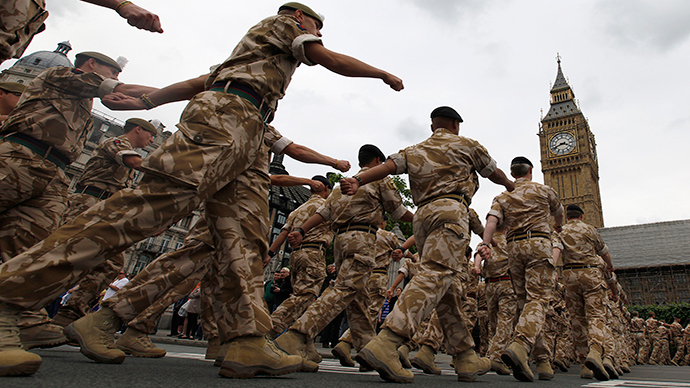 David Cameron has assured MPs that the UK army would not be cut below its current level of 82,000, following reports of Ministry of Defence budget cuts. Cameron was asked by Aldershot MP Sir Gerald Howarth, to reassure him that the reports of a reduction in the size of the regular army from its already low level of 82,000 to 60,000 were unfounded, and that no such cuts will be made. “As long as I am Prime Minister, the army will stay at its current size,” he said. Under current plans, the army will shrink to 82,000 personnel by 2020, with the number of reserves due to rise to 30,000 if they can be recruited. However, Cameron has declined to promise that UK defense spending would be maintained at 2 percent of the GDP – the level required by members of NATO.